The aluminum roofing sheet is light in weight, and the density of it is only 1/3 of the steel. The prices of the square aluminum sheet have no big difference. The aluminum roofing sheet is easy to be processed, and it is quick to operate, which greatly improve the construction efficiency. Today, the writer will introduce you one kind of the aluminum roofing sheet-the 1100 aluminum roofing sheet. Comparing with other types, it has many advantages, first the quality of it is excellent, and secondly, it is corrosion-resistant, and the mechanical intensity is high, thirdly, the conducting rate and the reflection rate is high, fourthly, it is anti-interference, but the electromagnetic wave of the shielding, finally, it has a fine heat dissipation performance. The aluminum is mainly used in the construction decoration and the exterior wall enclosure, so it has a high requirement in good wind resistance, water resistance of sealing, tightness and sealing system. 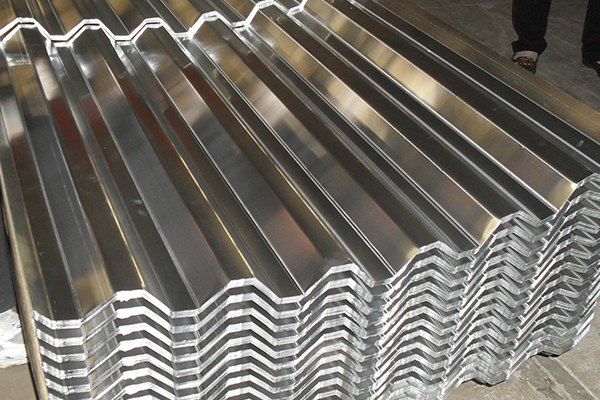 The aluminum roofing sheet is usually cut, drilled, embellished with the general machine, and the aluminum roofing sheet has a good process performance, which can be directly bent by the pressure tension, and it is widely used in the industry or the construction. Haomei Industry Co., Ltd is the professional aluminum sheet supplier it China, and it has gained 30 years experience in this field. The aluminum roofing sheet manufactured by it reach the high level, and it has a good performance, the products of Haomei have been sent to the clients all over the world, wining a worldwide appraise. If you have any demand, please contact us!